How can I change my domain name in the best way for SEO? If you are moving from one domain to another there might appear some problems with your rank or traffic. To avoid that you may follow at least some simple rules of thumb. Don’t just let your future new domain to be parked, post something on it even not very important. You should start with a part of your site, do 301 redirect and do a little bit of a test. If you've got multiple sites start with the smallest traffic domain. And it’s not advisable to completely revamp your entire site at the same time. Also it would be a good decision if you can leave the old site up for quite a while. So you might be moving from old domain to new domain. Let’s talk through some of the possible things to be thinking about and some of the stuff that you might want to make sure you avoid as far as problems. OK. Here’s what we’ve got. We’ve got a site, maybe with a subdirectory or a subdomain. In fact, we’ve got two or three sites here. And you’ve got a new domain. Right now, it’s just a parked domain. So we’re moving from an old site, in fact, maybe two or three old sites, and we’re going to consolidate to a new site. So first off, you really would rather not just jump in with both feet, dive into the deep end of the pool. What you’d rather do is test it a little bit first. So what you can do is you can make sure that you’ve got the new content, or the content ported over to the new site. And you can just kind of start with a subdirectory or a subdomain. Start with a part of the site and do a 301 permanent redirect to the new location. Now this is assuming that you’re moving for all time and eternity. So this is the good case for a permanent or 301 redirect. If you were planning to undo this later or it’s temporary, then you’d use a 302 redirect whenever you send the HTTP status codes. So what you can do is you can test by redirecting this part of the site over to the new part of the new site. And you can say, does this continue to rank OK? And if for some reason, like, you 301 and it just turns into a black hole and it doesn’t rank at all, then don’t move everything over quite yet. Do a little bit of investigation. Maybe the previous owner had done some spam on this domain and you need to do a reconsideration request, or something along those lines. But don’t just move everything over without doing a little bit of a test if you can on a subpart or a part of the site first. Now what if you’ve got multiple sites, like, here’s site one, two, and three, and you’re going to consolidate them all into one brand or all into one website? That’s a perfectly fine, perfectly natural thing to do. So you can do the 301s with these guys as well. But the thing to do is I would start with the smallest traffic domain. So imagine that you’re merging these three sites together. Start with the one that doesn’t get much traffic. Do that 301 redirect. And make sure that things flow OK. Make sure that things look all right as far as the transition. That way, you’re not putting the domain that’s responsible for most of your traffic at risk. You’re making sure that everything is flowing OK before you start to eventually take the next-biggest site, and then the next-biggest site, and do those 301 redirects that way. Some other stuff to think about. If you own all of these sites or if you control all of these sites, you can add the verification codes and register your site in Webmaster Central so that you can get stats for all these sites. So one thing you might want to think about is look at the people who link to your old domain. Now it’s definitely the case that you don’t need to write to every single person who has ever linked to your domain and say, hey, can you update and point to the new location of my domain? But it might be worth doing for just the most conspicuous, the biggest, and the most important links that point to your old site. So if CNN or The New York Times, or the LA Times, or The Chicago Tribune, or Wikipedia, some really big site, does link to your domain, those are the ones that it might be worth doing a little bit of attention to and say, hey. Write to the owner or edit the page on Wikipedia and say that this page has moved to this new location. But you’re just making it simpler. You’re fixing it upstream so even if a new search engine comes along and has no idea what’s going on, they just follow that link. And then the page rank flows. 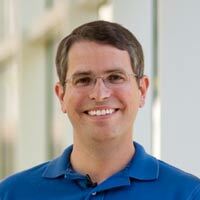 I did a test where I moved mattcutts.com to a site I had happened to buy called dullest.com. And I left it up for 90 days, 180 days. Plenty of time for people to see all the 301 redirects, everything happening, to make sure that it was processing correctly. And that worked very well. And if you handle this in a slow, careful, deliberate way, then things should go quite fine. And we’ve seen lots and lots of reports about people shifting to new domains and everything goes completely smoothly. But there are definitely these kinds of steps that you can do to make sure that things, if anything does go wrong or if there’s anything you can’t explain, you have an ability to say, oh, this was the revamping of the site, versus this was shifting the site to a new location. So those are just some simple rules of thumb to keep in mind whenever you’re moving to a new domain. Hope things go well for you.